One of our neighbors invited us along for coffee at the beginning of December; she's from Switzerland, so served Stollen. Shortly afterwards, Draeger's, the local grocery store, had Tate & Lyle treacle on the shelves where it stocks seasonal British imports. 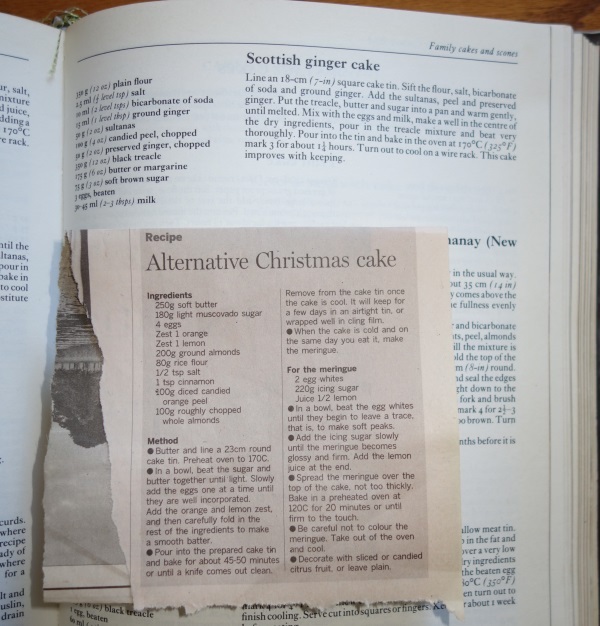 Since it was my turn next to host morning coffee, I turned up the Scottish ginger cake recipe from Good Housekeeping (my copy was purchased in 1978), then crossed it with the recipe for Alternative Christmas cake, gluten free, from Rose Carrarini in last year's Financial Times. We liked the result, and various people asked for the recipe. Put butter, treacle and sugar into a pan and warm gently until melted.Take off the heat. Mix with the almond meal, rice flour, salt, spices, ginger, sultanas, walnuts, orange zest and peel. Beat the eggs, and add them to the pan, stirring in to make a pourable mixture. Put half of the mixture into each tin - it will rise a little. Bake in the oven at 170C (325 F) for about 1 hour. 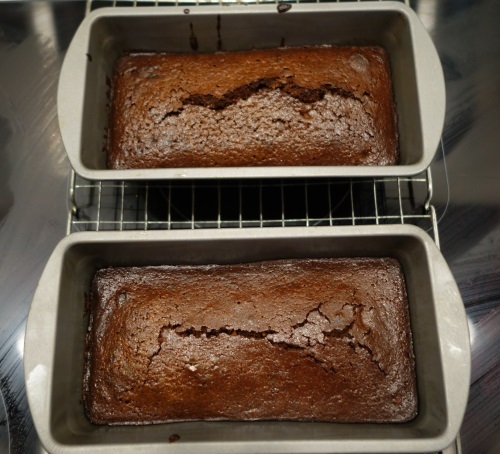 Partly cool in the tins, while still warm turn out onto a wire rack to cool. This cake improves with keeping. Fairly regularly, groups from outside the US plan visits to Silicon Valley. This usually involves visiting the usual large corporate suspects; sometimes there's also some time with one of the startup incubators like Rocket Space or 500 Startups. 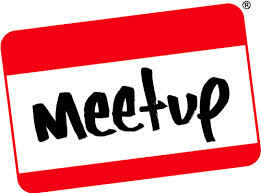 Another way to get insight into how the Valley operates is to attend Meetups. This requires some planning, and advanced registration - popular meetups like the iOS developers forum can have 400 people sign up within hours of announcing the next meeting. The Bay Area Hadoop Users Group has somewhat similar dynamics. There are so many meetups in the Valley, though, that there's almost bound to be something relevant on in a reasonable location most weeks. The UI to meetup.com allows search by distance from a place as well as topic. For meetups with technical topics, the motivation of meetup sponsors - the companies in whose premises the meetings take place - are usually, and sometimes explicitly, to find potential employees. The typical agenda will include a speaker from the hosting company, a speaker with expertise in a 'hot' topic, perhaps a live demonstration, and a session for Q & A, both in public and one to one. There's usually at least half an hour before and after the main agenda for 'networking', which is a fine way to make new acquaintances, most of whom will be living and working in the Valley, as well as to get an impression about the buildings and locations in which business is done. The usual timing for these things is early evening, and so some kind of food is usually offered - this may be beer and pizza, or food trucks, or something more elaborate depending on the sponsor's budget. There's no charge made to attend. Registration for Meetup requires an email address, and putting up with their hail of suggestions about new groups and meetups. For example, Bank of New York Mellon has recently launched an incubator as a way to learn from the Valley about startups and implementations relevant to its ambitions to overhaul its IT - it is the oldest US bank, so has a long legacy of systems. It hosted the Palo Alto Data Science meetup, topic 'Big Data Challenges in Financial Institutions' at Pivotal Labs premises on Deer Creek in Palo Alto, where the new incubator is located. Their ongoing program is the Silicon Valley Financial Services meetup. A group from We Are the Future, based in Scotland, came to visit us in Los Altos earlier in the summer. They asked 'what's it like to live in the Valley' ? Answering that question requires pointing out some of the side effects of the stunning commercial success in the Valley - to buy a house, you are competing with people who have had successful exits from startups, to the extent that it's unlikely that you can fund the deposit for a house unless you have already done that. Wealthfront went through a detailed analysis of a likely budget pointing out the requirement for equity just for living in a normal 3 bedroom house - this discussion isn't about buying a mansion in Palo Alto or Los Altos Hills. "If you were to join a mid sized company with momentum, it’s not out of the question you could receive a 0.1% stake that could be worth at least $1 million pre-tax to you if the company goes public. Joining a company that achieves great success will also put you into position to later earn a much larger equity position at a hot startup that could earn you well more than that. Over 20 years you should have at least five shots at a big outcome. 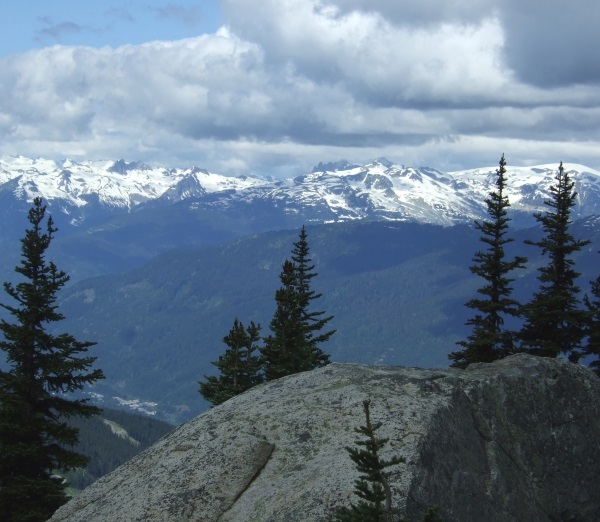 Managed well, one or more of your equity stakes should be able to address the shortfall required to retire comfortably. If you live in Silicon Valley, you have to play the equity game. Not doing so will leave you with a hole too deep to dig out." 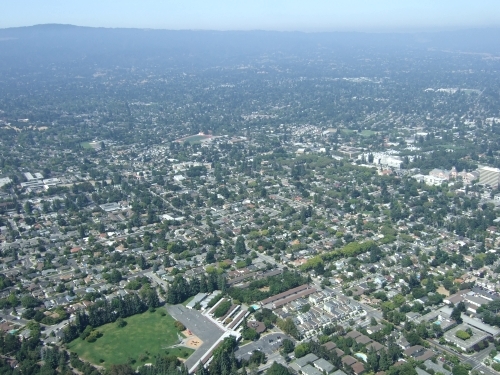 When I moved to the Valley I was able to rent a 1 bedroom flat in Palo Alto on the salary a well funded startup was able to pay me. Since then startup salaries haven't gone up much, on average, but rents have, and availability of decent rental property is much tighter. What can work is renting a bigger property and sharing it with with house mates. Keen moved to San Francisco, rented a house for what was then the whole company, which they used as an office as well as their living space. If you as CEO are considering moving an existing company to the US to accelerate your growth and obtain Valley VC investors, the founder of Waze (since acquired by Google) has some useful hints. Wealthfront https://blog.wealthfront.com/college-vs-retirement-savings-silicon-valley/ Read the comments, too. The headline number is $16b, for WhatsApp being acquired by Facebook. "WhatsApp Messenger is a cross-platform mobile messaging app which allows you to exchange messages without having to pay for SMS. Because WhatsApp Messenger uses the same internet data plan that you use for email and web browsing, there is no cost to message and stay in touch with your friends." Sequoia Capital invested $8m in WhatsApp (founded 2009) in April 2011. Dan Primack, Fortune, says the total investment was $60m, and that Sequoia stand to make around $3.4b on the deal. Infrastructure : 450m active users. 32 engineers " a reliable, low-latency service that processes 50 billion messages every day across seven platforms using Erlang" Lots more detail collected from a Rick Reed talk in the High Scaleability blog post. "What's going on in the Valley ?" used to be a fairly regular question. Now that there are many high volume sources of "news" it doesn't get asked so often. As part of my ongoing attempt to filter the meaningful from the merely faddish, the plan for this year's blogging will be to collect pointers to useful indicators. Today the big event was that it rained. This is the first time that there has been enough rain that it actually wets the ground under the big coast oaks in our garden since November. California is having drought - what http://www.weatherwest.com/ describes as the Ridiculously Resilient Ridge. Wishing you an enjoyable holiday season, and a happy New Year. Angel List (which match makes between angel investors, potential investments they might make in startup companies, and jobs at startups) launched Syndicates at the end of September. There were a couple of weeks in October where the investment community in the Valley talked about nothing else. Syndicates make it much easier for an individual investor to gather a coterie of like minded investors who want to follow his lead, and for that individual to earn 10-20% of the profit on the fund that he generates as 'carry'. There have been a respectable number of syndicates established since - it's too early to tell what the outcomes are likely to be - angel investing is a long game, since the average time to exit is 7 years or so. Tim Ferris and Jason Calcanis were the launch candidates for syndicates, raising about $300K each in the first week. 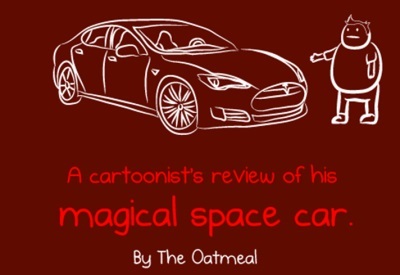 Think of it as professional grade Kickstarter, for accredited investors. Adding reference to Hunter Walk's post - he'd like to see syndicates to fund: international deals; bundling expertise; alternative liquidity outcomes. In other words, using Angel List to organize the mechanics of putting a fund together, increasing the leverage an individual investor can have. ** I've been in the Bay Area for less than 24 hours, and already I've had four different conversations with VCs about AngelList. In short, it's a combination of shock and awe. Now comes word that Foundry Group has become the first traditional VC firm to launch an AngelList syndicate. It's $2.5 million in total ($50k into 50 companies), with Foundry's cornerstone commitment coming out of its general fund. This will be seed deals, but I do have to wonder if AngelList syndicates ultimately are going to be used for the types of Series A deals that firms like Foundry focus on. And, if so, AngelList could be disruptive to much more than just the historical angel group and the more recent spate of micro-VC funds. I think that's why so many VCs seem nervous. "I think that it's possible they go into Series A fundings. I think the verdict is still "out" on how much help" syndicates will be to entrepreneurs versus VCs. I think most VCs, despite their marketing efforts, don't help out entrepreneurs very much, so for these firms I do think it will disrupt the market. For VCs that have real reputations for helping entrepreneurs, I think there will be much less change. As for fund structure, technically LPs could do better with a structure like this is all goes well. AngelList is not only no fee / no carry to the syndicate leader, but gives back carry giving our investors a potential larger return. It's all very early. We'll see what happens, but we definitely wanted to be involved here." As a Global Scot, I get occasional requests from Scottish Enterprise to help with their mission to help grow companies in Scotland. As part of a 'learning journey' this week there was a Connect event, where several of us worked with the Scottish visitors. 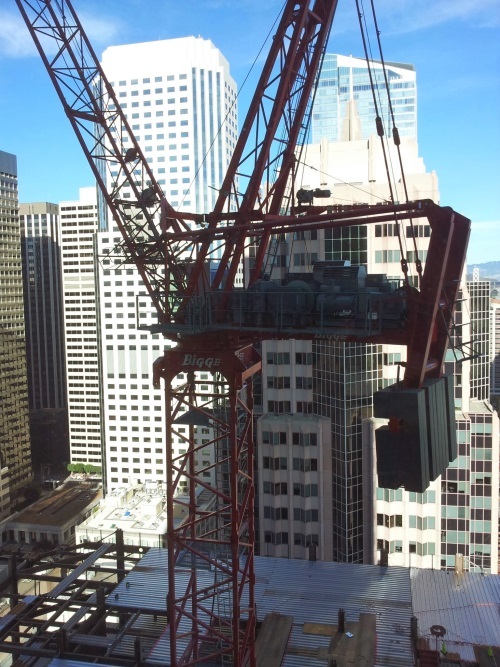 it was held in DLA Piper's SF offices, which happen to have an excellent view of the construction project for the new Transbay Transit Center. Managing Customers was the content request to me. The time limit was 5 minutes, so I didn't talk about even half of the material. Two big areas of necessary focus are Lean Startup (think small data around validating experiments, moving quickly to improve the offer to prospects based on the measured data); and Big Data, as applied to analyzing customer sentiment, to retail trends, to genetic assay and to anything else where there is a large volume of data and for which the business may be able to identify patterns. My earlier post 'Moving to Silicon Valley' has more useful background. Last Friday was Demo Day for the first batch of companies to go through TechStars London. As a previous mentor for TechStars, located in California, having UK investments in other small companies, I volunteered to mentor for the London batch. This led to useful interaction with OP3NVoice, who aced the demo - they took lessons from Keen.io, who graduated from TechStars Cloud in 2012. Editing (September 2014) - op3nvoice changed their name to clarify.io , and moved to Austin, TX. Cunning Systems evaluates product and service ideas in computing and communications, and makes occasional angel investments.